A mineral architecture of mediterranean style, composed of two buildings enclosing a patioand a walkway leading from the public street to the parking lot, forming an axial composition. 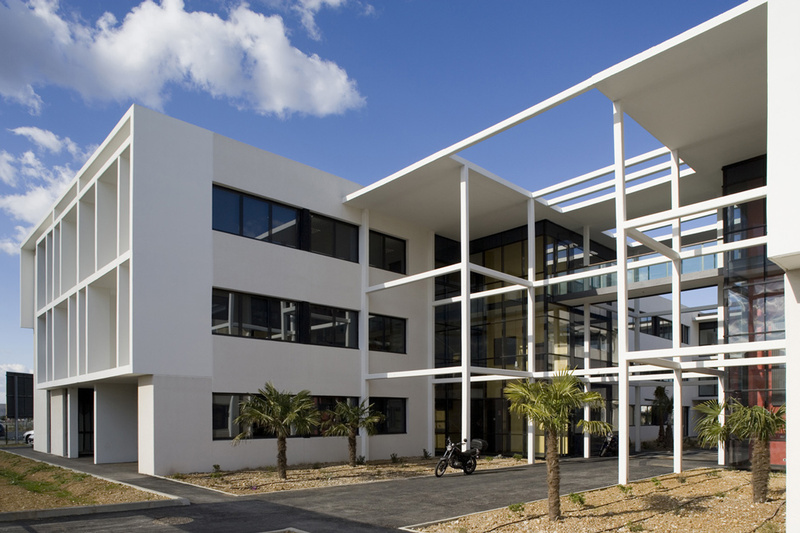 The “public” facade is designed to give structure to the building, due to its large lattice structure and its deep overhang linking the two buildings. 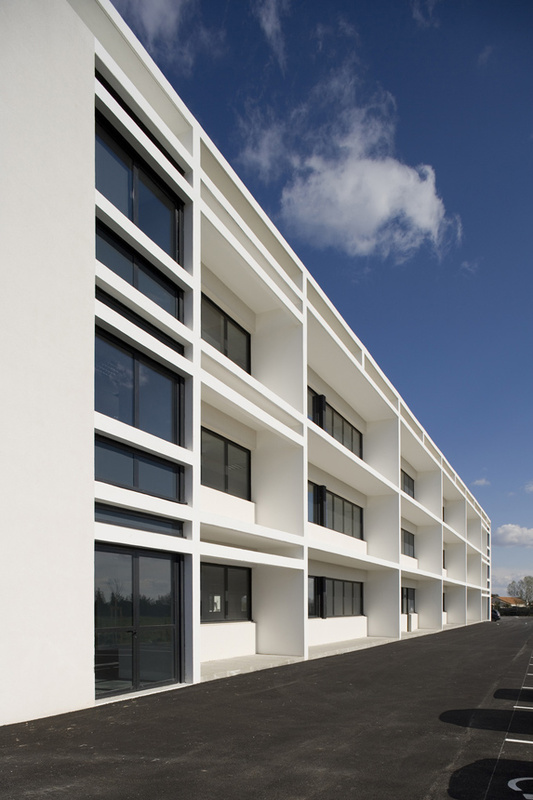 Natural lighting of the offices as well as protection against direct sunlight are achieved through variations in the architectural components’ thicknesses. The floors are protruding towards the exterior. 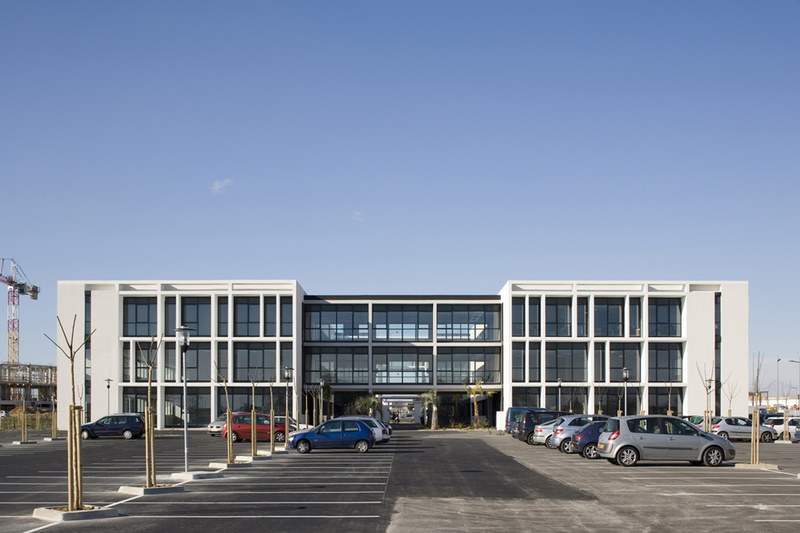 The North and South facades are predominently made of glass with structural components in between providing the building’s architecture with rhythm, dynamics and an assertive character. 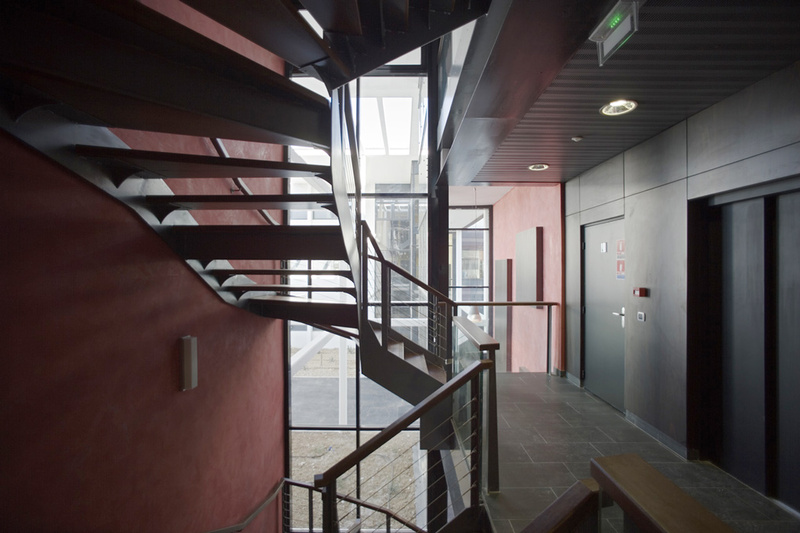 The complex consists of six levels of 1000 sq meters each, allowing the creation of 400 office spaces.